I grabbed this Cuddly Rigor Mortis piece……Paley has been dying for a piece from one of her all time favorite movies. Starting a new series of entries about gallery shows that are coming up. I’ve been art lover since I was a kid. I had this strange fascination with Degas Ballerina sculpture titled “Little Ballerina of Fourteen” for as long as I can remember. Back in elementary school, I got my first glimpse at a visit to a Degas exhibit at the Palace of the Legion of Honor, of one of the 28 bronze reproductions in the world. To date I have seen 5 of these bronzes, each special in it’s own way. In college I finally got to see the original wax ballerina which was on display at the National Gallery. That little dancer was the birth of my love for the art form. My tasted has come a long way in the past and in my early 20’s I started building my personal collection of art and now a collection that has grown between my husband and myself. I am not going to say how many pieces we actually own but lets just say our little house is not big enough. If you’ve set foot in the house, then you know we have a lot. Over the past 10 years my taste in art has morphed. From impressionism, to Dadaism, the WPA era to Pop Surrealism. One gallery that I’ve fallen in love with over the years is Spoke Gallery in San Francisco. One of their little gems each years is their “Bad Dad’s” show which is a Wes Anderson themed group show. 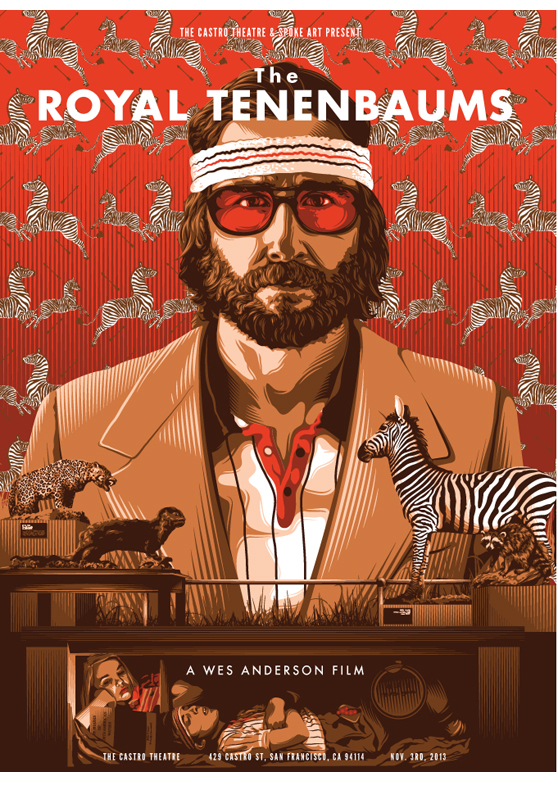 If you are not familiar with Wes, he wrote and directed movie like Rushmore, Royal Tennebaums, Fantastic Mr. Fox and the soon to be released The Grand Butapest Hotel. I love this show, this is it’s 4th annual group show. This year they were able to get some really great artists on the bill. For example Aaron Jasinski, Joel Daniel Phillips, Bec Winnel, Weston Weiner and Casey Wheldon. The show is opening on November 1st, 2013 and runs through the month. You can check it out online today. Is Katy Perry Coming Out?